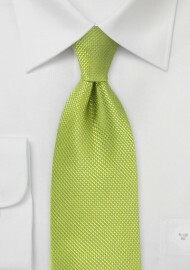 Check out our brand new Key Lime necktie in pure silk. Made using a beautiful basket weave technique, we have handmade this piece so you get the results of a product which was intimately cared for. The bright solid hue is a perfect conversation starter, and the subtle satin finish will have you looking monochromatically fresh all day. Prep this spring tie with a stone gray suit for a wedding. 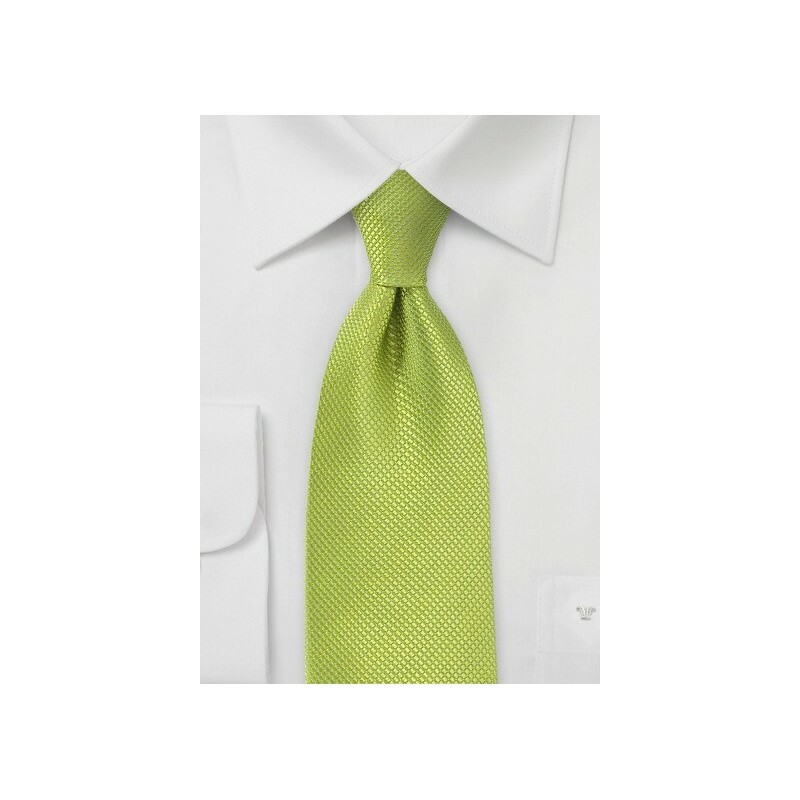 This tie is quite a popular choice amongst summer weddings and other warm outdoor events. Enjoy your day in style!